The Great Foie Gras Debate- Should Foie Gras be Illegal? A new law went into effect this week banning the use of foie gras in California. Gourmet restaurants across the state are in a tizzy. California customers have been gorging for the past month on foie gras in special “farewell dinners” hosted by some of California’s biggest chefs. People want their foie gras, but many are conflicted about the cruel practice of creating this delicious product. The debate stems from the way foie gras is made. For those of you who aren’t familiar with the dish, foie gras is fattened liver harvested from geese and ducks. The birds are unnaturally fattened by force-feeding them daily through funnel-like tubes. The process leads to the livers becoming unnaturally enlarged, fatter, and ultimately more tasty. Most people don’t realize that foie gras has a Jewish history. Cato the Elder mentioned the technique of fattening geese in his book, “On Farming.” The Romans used Jewish slaves to fatten their geese by force-feeding. The method was eventually adopted by the Jews. Because of the kosher law banning the mixture of milk and meat, as well as the ban on pork and pork fat, poultry fat (schmaltz) became a staple of the Jewish diet. The process of fattening the livers of geese helped to produce more usable cooking fat. Jews continued the practice for several centuries in the various European communities where they settled. The new California foie gras law is already being challenged. Yesterday, a Canadian exporter and a Southern California restauranteur both filed suit to invalidate the law. They claim the law is written vaguely and violates the U.S. Constitution’s commerce clause. This, in addition to hundreds of restaurants and thousands of customers who are bemoaning the loss of a beloved gourmet delicacy. Though foie gras is indeed a tasty treat, I tend to fall on the side of the animal’s rights here. Force feeding seems unnatural and unkind. While it’s only one of many animal cruelties in our American agricultural system, I believe that we must begin to take proactive steps to protect animal welfare. That said, I’m not sure if banning foie gras is the answer. Even better, I think, would be to make a fundamental change in how foie gras is raised and harvested. Foie gras can be made in a more humane, natural, sustainable way. Don’t believe me? Check out this TED video featuring Chef Dan Barber, discussing a farm in Spain where foie gras is made naturally. I do look forward to trying farmer Eduardo Sousa’s foie gras someday, and I hope that other small farmers will follow his example by putting the welfare of the animals first. Meanwhile, I certainly don’t mind living without foie gras. Tell me you’re banning sourdough bread, and we’re going to have a problem. Foie gras? It’s a small sacrifice. What do you think? Do you believe gavage is cruel? Is banning foie gras the answer? Should we be encouraging farmers to adopt more sensitive and sustainable animal husbandry? Do you think banning foie gras is nonsense? Does this amount to a minor drop in the bucket in a much bigger agricultural problem? Or are you a fan of foie gras, willing to eat it no matter the cost? The thing that enraged me about the debate agaisnt fois gras, is that it isn’t a big production compared to the north american meat industry. Yes in certain cases it is a quite savage process, but all of you people eat meat coming from supermarkets, where animals are also treated like objects which are purely there for the American luxury standards, where people eat considerable amount of meat every day. So its great to fight against fois gras, but it also shows that your priorities are not set properly. Because you should be more concerned at the beef, chicken and proc industries that produce much much more meat than fois gras. All in a terrible environment for the animals. To get rid of the industrial meat system, we would have to reduce our meat intake, why not keep meat for week ends? Once or twice a week. Then we wouldn’t need to produce so much meat, and we could do it in a more ethical way towards the animals. Yes, it should be ILLEGAL! More animal cruelty coming from mental defective humans. If you think a goose being force-fed huge amounts of food to fatten their liver’s is a good thing, just so some elite human enjoys the taste, I hope you get liver disease and see if it is “painless”. Tori, you’re a lovely woman, adorable. It’s time to end the animal cruelty! I think the practice of forcefeeding geese/ducks is cruel and unnatural. It’s a small sacrifice for foie gras lovers to give it up and take a stand to stop the cruelty. Peoples views on this subject are usually aligned with their desires, viewpoints, and not wanting to know the truth. To deny that these sentient beings aren’t suffering is ridiculous. I look forward to the day when human beings wake up and evolve into caring, sensitive, intuitive, loving beings. Cruelty won’t be an issue. Have you ever wondered who are the people doing this to animals? Sometimes it’s necessary to look at what’s best for the greater good, not just for self. How can anyone be okay with force feeding any kind of animal? They are smart enough to eat on their own and do not need a tube shoved down their throat four times a day!! My dog doesn’t always want to eat and I would never force feed her… As I’m sure a good parent would never do to their child!! The videos of the birds cowering from the people coming to force feed them should tell people something… They are not enjoying it at all! They can’t speak for themselves, just as no animal can and it’s up to us to have a voice for them. If they could eat on their own and not have to be force feed I would have no problem with foie gras. But then again it is not normal to make any species have an organ 10 times the size it should be!! Have some compassion for animals people!! I am not well versed enough to know for sure whether the geese are inhumanely treated. I believed they were before reading some of the comments here. Now I see I would need to learn more. I definitely am against any cruelty to living creatures of any sort. Based on the ways that many animals are treated, it would seem that some folks have no feelings. Very sad. Thank G-d I don’t live in the nanny state of Kalifornia. This feel-good law does nothing to protect the geese or ducks from which Foie Gras is made. That said, I disagree with you about how cruel or inhumane the process is. Avian anatomy and physiology is NOT the same as in humans. To try to equate how a human would feel if they were force fed in the same manner is utter nonsense; a definite apples/oranges thing. I was never a fan of any form of liver as a kid or now. Once in a blue moon I will get a very small container (they call it a bissell at Russ & Daughters in NYC), enough for a few bites on a cracker…..hated liver growing up but had to eat it or else no dinner for me that night….then I’ve tried Foie Gras a couple of times in NYC restaurants….never really cared for it….nor saw what the big deal was about. The method is barbaric and should be outlawed to protect the geese. Really…I think people can do without it….it’s far from a staple one must consume. I don’t get the attraction…..it really tastes like slime. On this debate…..consider turkeys. In the wild they rarely reach more than 6 -7 pounds. And most of it is NOT breast meat. They are what is ostensibly force fed. The gullet of a duck or goose is quite different than humans or other animals. It is almost hard. Their digestive systems are different as well. I’m not a Californian, but I find this ban ridiculous. First off, by banning foie gras, you are essentially banning ALL suppliers, even ones who do not force feed animals to produce a greater product. You have a link to Eduardo Sousa who produces foie gras in a legitimate fashion. However, regardless of how humanely he treated his animals, he is banned from supplying foie gras to anyone in California. Does that make sense? No. If you want to pass legislation to advance the fight against inhumane treatment of animals, pass legislation to restrict the suppliers’ inhumane activities. Simply banning the end product does not save the duckies. The duckies will still be overfed. Their tasty little livers will just now be mailed to places like Portland, Oregon and Seattle, Washington. In fact, maybe they will feed them even MORE because they have lost many suppliers and must now compete with out of state suppliers. Lest you all forget about supply and demand. The demand will always be there, and it doesn’t necessarily have to come from California. Therefore, it will still be supplied. All this may have done is essentially hurt more ducks and raise the prices from these suppliers because now they have to go elsewhere to sell and possibly manufacture. I can’t arguably fight for the rights of a duck because I am not one. I have no idea what they consider cruel and unusual. My opinion is based on the fact that I find this ban serves no legitimate purpose and is only a blanket for Californians to cover their heads and feel better when they sleep at night. I do think that it’s interesting, reading the comments on the page here, how we’re equating the banning of a food with the protection of animals. If the law were truly aimed at insuring the welfare of the geese, it would specify the treatment of the geese. Instead, it just blindly bans the selling of a product. Totally different. But that seems to be the world we live in, and people are ok with it. Instead of addressing the actual issue – here, how the geese are fed before they’re slaughtered – we go higher up and use a blanket, “feel-good” law that gives the government more ability to dictate what we do or do not eat, what farmers can or cannot make. And sadly people seem to be alright with that. Thank you, Tori, for all of your comments on this topic. I agree with you 100 percent! Thank you, my Shiksa friend. Because ducks and geese don’t speak it is as pointless to ask them if they are uncomfortable as it is to assume they aren’t. The key word in this issue is “natural”, as in “these birds naturally overeat”. No species on this planet naturally overeats with a tube shoved down their throat. Chefs have argued that birds will swallow fish larger than their esophagi, and one even tweeted a picture of a bird with a large fish sticking out of its mouth captioned, “this is what ducks feeding in the wild do. Does this look cruel to you?” – the bird in the picture was a cormorant, and it didn’t look cruel because there wasn’t a human hand forcing the fish down a tube. While it is true that these birds naturally overeat (as described by Dan Barber), their feeding habits are seasonal – migratory waterfowl will fatten up for the winter; in the past, foie gras was a seasonal treat that was only available during the winter holidays. Gavage is used because farms must provide foie gras year round to satisfy our habit for the rich substance. The bill, as passed does not ban foie gras outright – it bans the sale and production of foie gras produced using gavage; farmers had been given seven and a half years to come up with alternative production means, and there seems to have been little effort made to do that, just whining and complaining months before the ban went into effect. I’ve eaten foie gras, and enjoy it, but I won’t lose sleep over not being able to get it in California. As a food scientist, I have often wondered why people eat liver. Remember why folks joke about your liver taking a beating from too much booze? It’s the filter organ of animals. Tori this is a great post to raise awareness for people. I personally think any time an animal is force fed the line has been crossed. I have never and would never eat it. There are more humane ways to treat animals. I wish the laws were tougher for animal rights. It’s a tough issue banning though. It can lead to more problems. I actually thought that forced tube feeding geese rendered the foieGRAS nonkosher? The idea of kashrut was to mitigate as much as possible cruelty to animals. So I guess technically it’s allowed because Rabbi Yosef Shalom Elyashiv says so. That said, I think the choice to eat it is a more personal matter. I agree that it does seem like a contradiction to me if the gavage causes suffering in the animal. On this thread, you can see there is some disagreement about that. Clear as mud, right? After reading the various comments I can more fully understand the state of affairs in this country. I didn’t read the law, so I might sound like a know-nothing here, but…does banning fois gras also ban the practice? We always say “fois gras” as a noun – the name of a food. Is the same term used for the verb – the feeding and raising of the geese? I don’t think the food item should be outlawed, but the method of getting it should be. From what I believe, and I could be mislead, California has just banned the sale of foie gras. Yet some countries in Europe have banned the actual practice of force feeding animals. Jane, if you read the above post it addresses the points you made in your comments. Yikes! I’m from the Midwest, USA and had never eaten this until I moved to Quebec, Canada with my husband. It is a staple here. 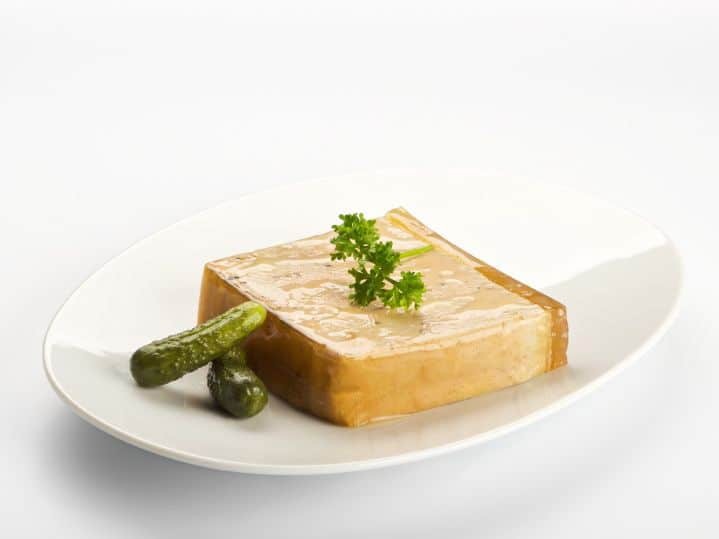 Anytime that there is a get together with friends or family, foie gras is always served. I knew it was goose liver, but I never had any idea that the animals were treated that way to produce it. I just read this article to my husband and we both gasped in horror. Thank you so much for the information. I will definitely not be eating this again! Although the geese don’t have a totally natural diet to choose from, it’s closer to the standards of the rest of the livestock industry which itself is slowly stepping in a better direction. Tory, I don’t intend to turn your peaceful blog into a battleground by exchanging barbs with the previous two posters, or anyone else, for that matter. I’m vegan. I chose vegetarianism over twenty-five years ago, and more recently, veganism, for ethical reasons. Basically,factory farming is horrible. Bless you for addressing the cruelty. I’m so interested in this debate. I’ve eaten Foie and I enjoy it but not regularly. I understand from the stand point of both sides. The real question for me is on the level of personal choice. I’ve seen hundreds of videos as to how animals are raised humanely and inhumanely because I choose to eat meat, this is something that I thought was important to know. I’ve also had years in my life when I chose not to eat meat or eat animal products. I believe that our choice has to do with our level of consciousness. It’s up to consumers to understand their responsibility and choose themselves. Personally I think people have to know and take responsibility for what they eat and the out come of those choices and that government doesn’t necessarily have to take control of these measures because if the demand for Foie Gras wasn’t there these businesses wouldn’t be around. Tori, I think banning does not do much good if you want to change habits and practices. If there is demand, people will find a way to sell and buy. People set the trends and demands with their willingness to pay for it. Banning really just fuels it more, it seems. Ilke, I tend to agree with you. The one good thing the ban has done is open up a discussion about how we raise and treat meat animals in this country. We’re not talking about alcohol or even cigarettes. A foie gras speakeasy might pop up here and there but it’s hard to imagine that making it illegal and thus more expensive and less convenient will cause people to eat more of it. In any case as Shiksa’s link to the TED video shows it’s not the end product that needs to be banned, it’s the current production practice. Errr…exactly how is gavage cruel? What scientific literature exists on the subject doesn’t uphold the argument put forth by the animal rights groups. Touring Hudson Valley Foie Gras or Sonoma’s Artisan Foie Gras doesn’t show birds who are being fed against their will. The geese and ducks happily gather around the gavage tube when it comes out. And they go back for more. Certainly, if a human being had a tube shoved down their throat with food crammed in it would be uncomfortable. But geese and ducks aren’t human. They don’t have human anatomy. They don’t have a gag reflex. Their gullets are actually designed to distend for crammed feeding, which they’ll do in the wild prior to migration. They don’t even use similar hormones in the same way. Where corticosterone is a weak glucocorticoid (steroid used to help signal and regulate glucose metabolism) in humans, in avians it’s a strong glucocorticoid. So strong that the same levels of CORT are found before and after feeding. With or without gavage. It has even been observed that CORT levels spike when the birds see the tube. Meaning they are responding positively to the tube. They’re getting hungry just seeing the gavage apparatus (http://www.tandfonline.com/doi/abs/10.1080/00071660120088489). Very interesting, JaySeeDub. Thanks for attaching the study, I’ll check it out. Excellent point! Glad to see an educated mind post so others may learn the truth. Why don’t they ban broccoli, I’m sure children would love that! Banning broccoli- hee! I don’t like the government legislating how I eat either, Jackie. This particular issue involves animal welfare, which makes it different than, say, banning large sized sodas (as the NY mayor wants to do). We as humans should be able to make our own choices, as long as we are not hurting others– that’s what freedom is all about. On the flip side, animals don’t have a voice, so we need a certain amount of laws in place to protect them. I guess the question comes down to, how cruel is force-feeding geese? Some say it is, some say it’s nonsense. I’d rather err on the side of caution and protect the geese from discomfort, but others will disagree. It’s definitely an interesting discussion. I can understand the animal rights activists concerns but I don’t like the outright ban because I think a compromise would be a better solution. This law, signed by RINO Arnold Schwartzenegger is another example of what happens when extremism goes uncommented about. Law is a function of the monopoly on power that a “state” has. This particular law, aimed at an individual, is surreal. Constitutionally law is supposed to serve the GENERAL needs of a community to promote “happiness and health”. This law does not meet that standard. It serves no purpose other than to punish an individual for pursuing a business. Law is not supposed to be punitive. I doubt most of the readers of this will be able to understand the former sentence. Let me put it another way: How cruel is it to force feed an animal, in comparison with killing an animal for food? That PETA and associated group of California ‘weirdos’ got an un-Constitutional law passed isn’t surprising. That a politician wrote and supported an un-Constitutional isn’t surprising. But that so little in the way of protest about the silliness of these political correct ideas flourish without a backlash from the general populace is. The French must be laughing all the way to the table. I wonder on what evidence you base your conclusion that force feeding is unkind, or that the birds become uncomfortable? Hey Jason, great question. I cannot ask the geese themselves how they feel about the forcefeeding, but the videos I’ve seen of the practice look extremely unnatural and unpleasant. That said, it’s no more cruel than raising a pig in a gestation crate, not even being able to turn around fully (the way most pigs are raised in the U.S.). That is why I said, “While it’s only one of many animal cruelties in our American agricultural system, I believe that we must begin to take proactive steps to protect animal welfare.” When I buy meat (very rarely– I’m a flexitarian), I always know the source and do my best to buy from farms where I know the animals lived healthy, comfortable lives. I’ve even gone so far as to buy part of a steer from a local farm, split with other families, because I knew the farmers and I knew that it was humanely and organically raised. I think that steps need to be taken to change our agricultural system and animal husbandry fundamentally– but we can’t change everything overnight. Small steps need to be taken. I’m not sure banning is the answer, but I do think that the system needs to change. It would certainly be unnatural and unpleasant for a human. But I think its a mistake to assume that something that would be uncomfortable for a human is equally uncomfortable for a member of another species. Birds have different anatomy and physiology than we do. I’d recommend going out and looking for videos of wild waterfowl gulping down whole fish, for example (they do not chew their food) – it looks remarkably like what happens when foie is made. To my estimation, “free-range” foie doesn’t appear any more or less cruel than any other “free-range” poultry practice. Jason, did you watch the video from Dan Barber? Those geese are definitely not raised with the American “free range” standards (the whole American free range label is a bit meaningless, as I’m sure you already know). That said, force-feeding is unnatural, period. Feeding an animal more grain in 2 weeks than it would eat in an entire lifetime is probably not completely comfortable for the animal (though you are right, I cannot be sure because I cannot ask the goose how it feels). Eduardo’s geese eat from the fields when they’re hungry and get naturally fat because they’re living a happy life with ample sunshine, bugs, and seeds. They’re not even constricted to living there– they could fly away if they chose to. Wild geese naturally flock there and choose to live there because of the environment he creates for them. I think that should be the ideal that we strive for with all animals, not just foie gras geese. I stress that this is an ideal, knowing full well that these kinds of changes are not practical or possible on a large scale with our American agricultural system. We have millions of mouths to feed. But we can all do our part by supporting local farmers and getting familiar with they way our meat is raised, if in fact we choose to eat meat. Imagine somebody shoving a funnel down your throat and forcing food into your stomach when you are way past full. Sound fun? Joseph, please refer to my comment below. And to the article therein. For a human it’s uncomfortable. For ducks and geese? Not so much. They don’t have a gag reflex and have an anatomy designed to handle gluts, which come in super handy for the whole migratory flight thing. They take in a lot of food. Store fat (especially around the liver), have energy for long distance flights. Too often the animal welfare/rights response to gavage is, “How would you feel if it was done to you?” Well, the major problem with that argument is that it’s anthropomorphizing. You can’t take an animal experience and apply it to humans, just like you can’t take a human experience and apply it to animals.